Our Atlanta office is located in Buckhead, near Chastain Park. Access Test Prep & Tutoring resides in Atlanta, Georgia. For students located throughout the southeast, across the country, or internationally, we offer Skype tutoring. Each of our tutors must pass a rigorous hiring, vetting, and training process, including achieving the 99th percentile on any test he or she tutors. We are doctors, engineers, lawyers, teachers, scholars, writers, and musicians. We pride ourselves on offering the most comprehensive and effective education services. Our co-founder, Charles Mendels, clerked for the Honorable Douglas H. Ginsburg, a U.S. Supreme Court nominee, and was a decorated litigator in Washington, D.C. During his eight year legal career, however, he always thought back to his days at Columbia University Law School, where he was a beloved TA (teaching assistant) in Civil Procedure and Property law. His law students actually wrote letters to law school professors praising his exceptional teaching skills. Given his love of teaching, Charles left law to teach grades 7-12 in a private school near Philadelphia. 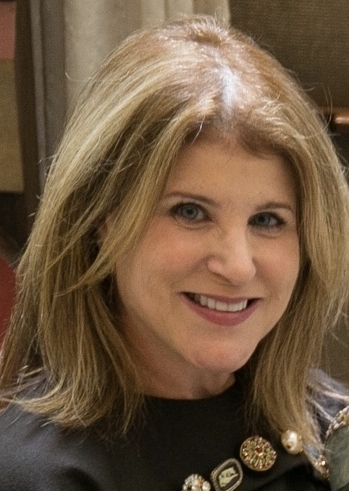 Charles met co-founder Elaine Rosenblum, a lawyer and business consultant who specialized in teaching negotiation, and he moved to New York City. Charles became a senior tutor at the premiere one-on-one standardized test tutoring company in New York City. His areas of tutoring included the SAT, PSAT, ACT, SAT Subject Tests in Math, Literature, and World History, SSAT, ISEE, LSAT, GMAT, GRE, and MCAT Verbal Reasoning, as well as academic Math, Writing, History, Economics, and various Law School courses. Charles has scored in the 99th percentile on every test he tutors. He has helped literally thousands of students achieve their academic goals, changing the trajectory of the lives of many. In 2006, Charles and Elaine decided to combine their teaching expertise and bring excellence in one-on-one tutoring to the southeast by launching Access Test Prep & Tutoring. Today, Access Test Prep is a team of extraordinary, multi-talented tutors offering individualized prep across more than two dozen standardized tests and over 40 academic subjects and foreign languages. Since the goal of test prep and tutoring is admission to private school, college, grad school, or a company in the form of a job, it was logical to combine Elaine's collaborative negotiation consulting practice with Access Test Prep & Tutoring to form ProForm U® at Access Test Prep. In today's technology driven organizational environment, collaborative communication skills are among the most valuable professional skills in that expectations for productivity and profit margins demand them. ProForm U's mission is to mentor the next generation of professionals in how to collabortively communicate, get a job and negotiate today's hyper-paced professional world. Over the past thirteen years, Elaine has taught students at New York University, Baruch College and Columbia University, as well as Fortune 500 executives, attorneys, bankers, physicians and engineers, the invaluable business practice and critical professional skill of Collaborative Negotiation. Elaine has also recruited, interviewed, and trained each Access Test Prep tutor in Collaborative Negotiation, enabling the tutors to build relationships that inspire learning and motivate studying in order to achieve results that exceed expectations. Elaine has coached her students and other clients to help them obtain their college or job of choice, close deals, and obtain higher salaries at job offer, promotion, and annual reviews. Elaine Rosenblum, Esq., co-founder of Access Test Prep & Tutoring and Founder of ProForm U®. Access Test Prep has helped thousands of students achieve their academic and personal potential. We collaboratively partner with our students to help them become disciplined in their studies and practice tests and motivate and inspire them to believe in themselves. When our students exceed their own expectations, they are more confident and gain access to a love of learning. These qualities are crucial not only to students' education, but also to their ability to succeed in a constantly evolving professional setting. As the educational and technological landscape shifts, we constantly devise new ways to collaborate with our students and the greater community with an eye toward achieving academic and professional excellence.